Thanksgiving is over. So, I guess it’s safe for everyone to start posting about Christmas now. I’ve got my special Yuletide playlist queued up and I’m ready to join in with the rest of the Christian world to commemorate the birth of Jesus Christ. Before everyone gets caught up in the rush to buy presents I just wanted to remind everyone what we’re celebrating. 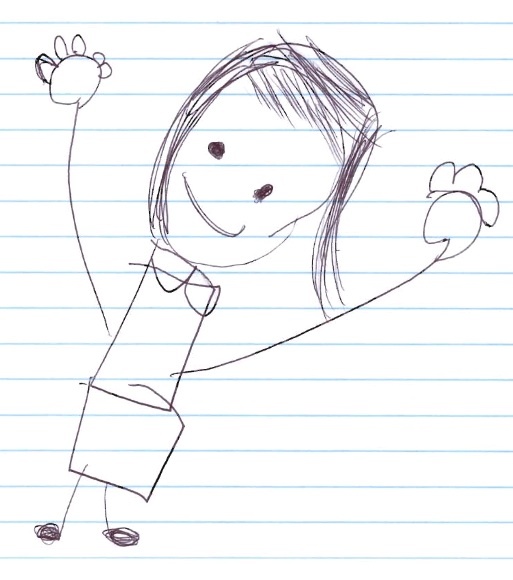 Lulabelle, my nine year old wunderkind, always draws the happiest pictures. 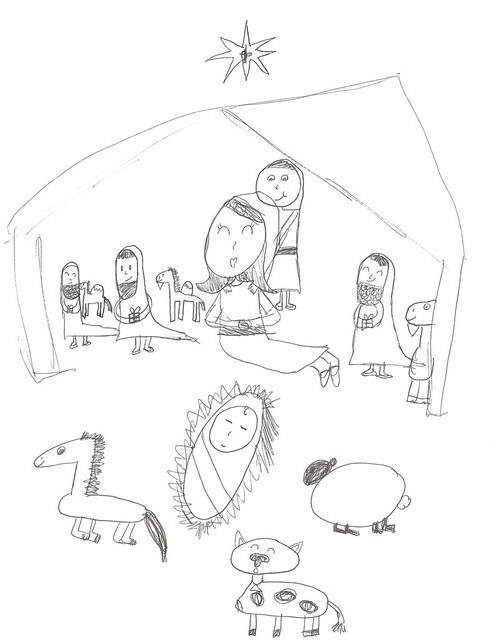 Her interpretation of the Nativity is no exception. I don’t think I’ve ever seen a more jubilant Mary, Joseph, or Wise Men. Truly the birth of the Savior was cause to celebrate then even as it is now. May you have joy and peace this Christmas Season. This entry was posted in LDS, Life, the Universe, and Everything and tagged art, Christmas, holidays, Jesus Christ, kids, postaweek2011 on November 25, 2011 by Ammon.